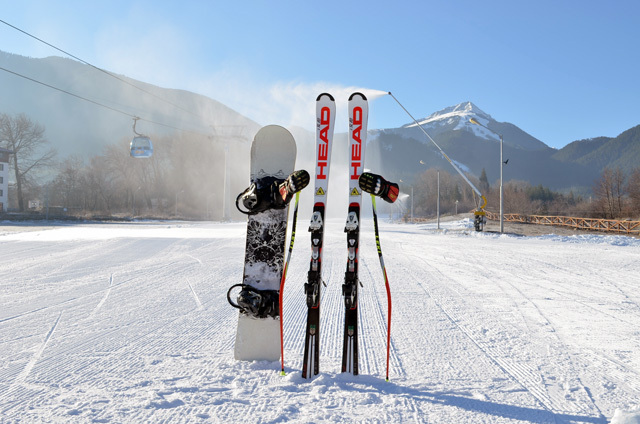 INTER BANSKO ski and snowboard rental. INTER BANSKO rental shops have stocked with a wide variety of alpine ski, touring ski, nordic ski and snowboard equipment which you can hire for your snow holiday. You can find everything what you need in our rental shops. Thanks to the excellent facilities, the experience of our staff, our ambitions and goals, the company is a leader in the rental of ski/snowboard equipment. Every year, new ski and snowboard equipment!!! Our equipment waiting for you. three categories: Standard, VIP and Elite. The best brands - choose from: Head, Atomic, Salomon, Rossignol, Nordica, Fischer, K2. three age groups: children up to 12 years, teenagers from 13 to 17 years and adults over 18 years. Our snowboards are suitable for any terrain and conditions: twin-tips and soft system bindings. What’s more, all skis and snowboards are always serviced and freshly waxed, boots are dry. Why our rental shops ? Best location near to the gondola. Great selection of ski, snowboard and Cross country equipment for all Ages and skill levels.